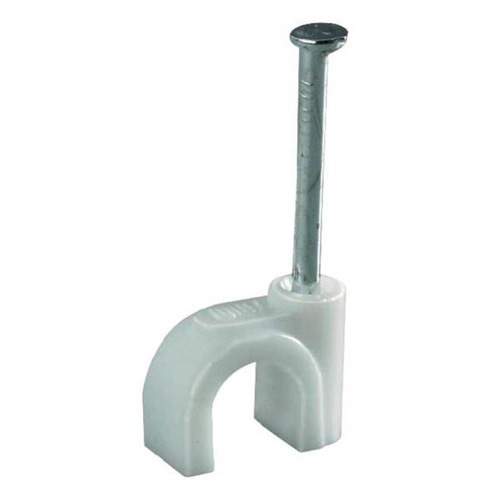 Holds round cable securely to wood and masonry for a clean and professional installation. Clip design will not distort the phone cable geometry causing poor signal. White color will blend in with most environments. 100 per package.